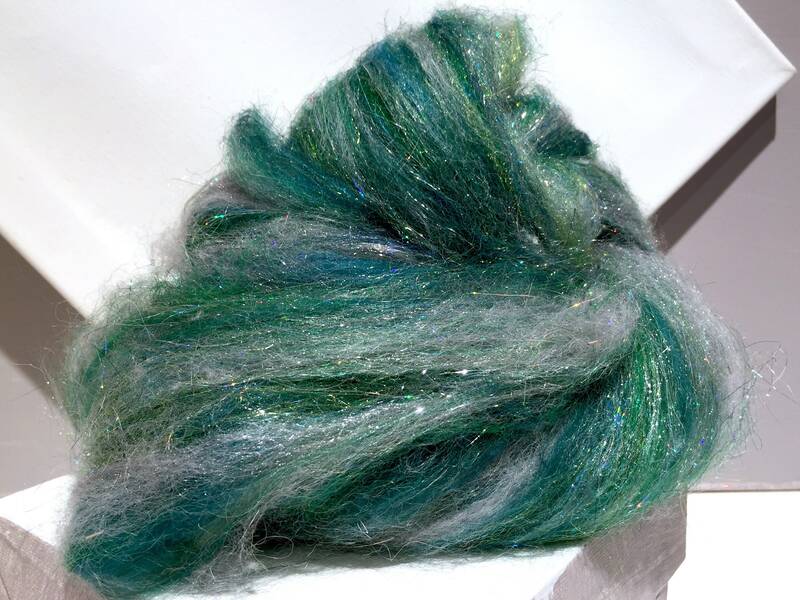 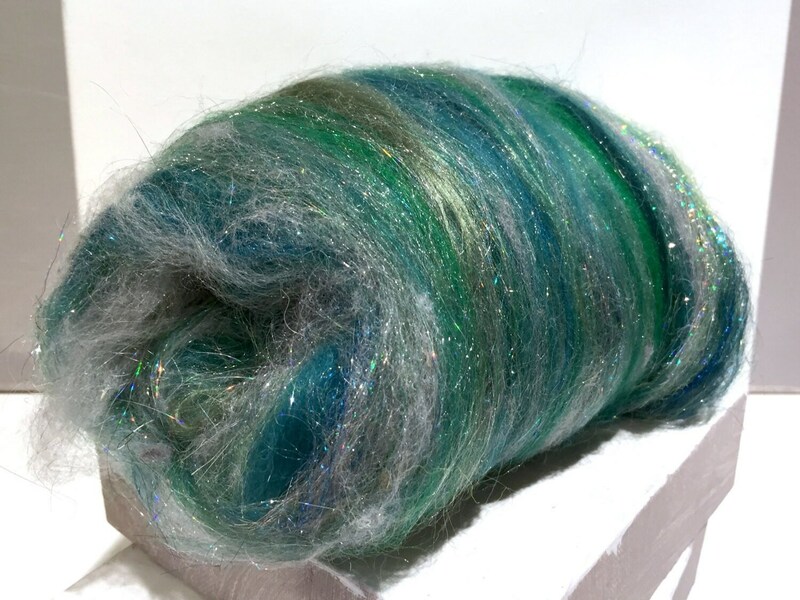 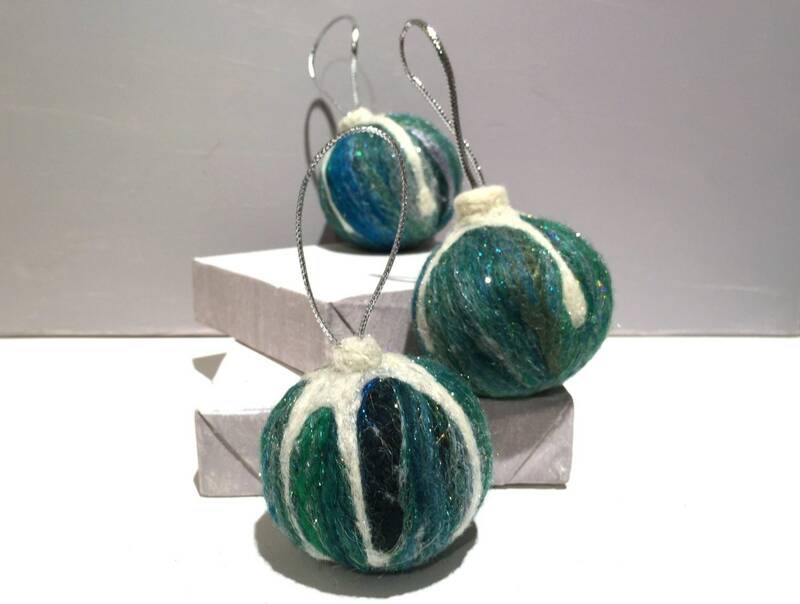 **You will receive a 1/4 - 8 ounce mini batt of hand dyed dyed and commercially dyed wool, carded together with hand dyed Firestar (a fine, sparkly nylon fiber) and several different green shades of green with silver hologram angelina for maximum sparkle. 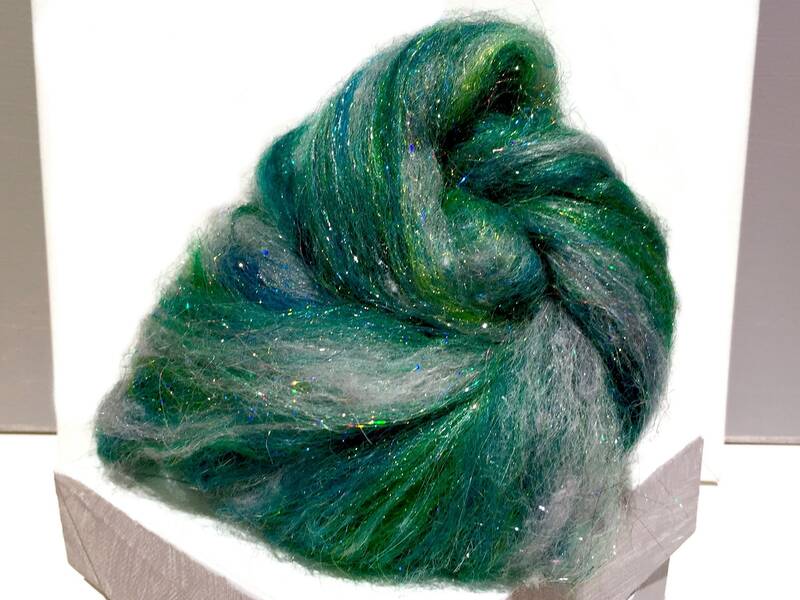 The pictures do not do this mix justice! 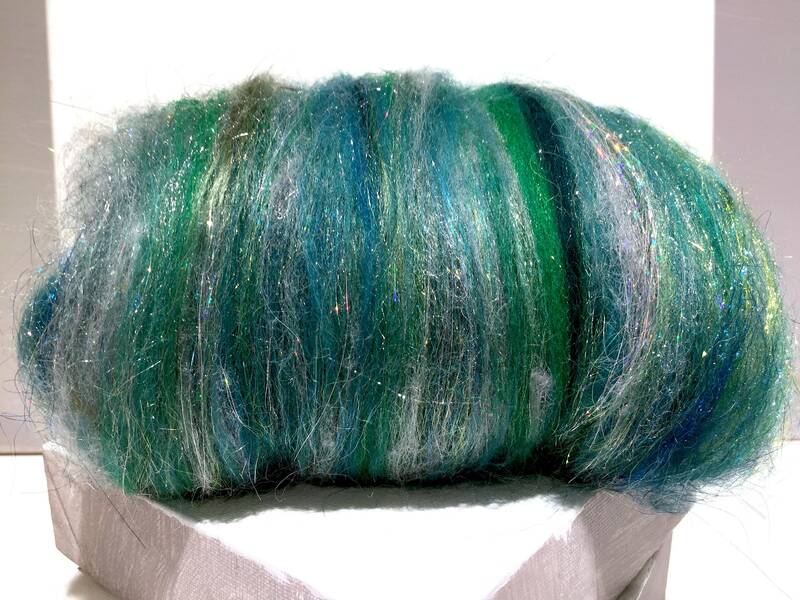 We make similar batts in red, white, silver and gold!